Posted by Andreas in Environment, Society, South Africa, Sustainable Living. So I haven’t been a very busy blogger lately – sorry bout that… I’ve been busy doing all sorts of new things, including writing a regular “green” column for News24. I thought it might be fun to re-publish some of these here. Reading, thinking and writing about the environment is terrifying business. Not a day goes by without another horror story – an oil spill, a disappearing species, shrinking rainforests and melting glaciers. It’s enough to make you want to throw in the towel and let someone else worry about the mess. But that’s not an option. Figuring out how to inhabit this planet sustainably and equitably with millions of other species and without destroying it for future generations by overexploiting its resources and poisoning it with waste is one of the great challenges of the 21st Century. 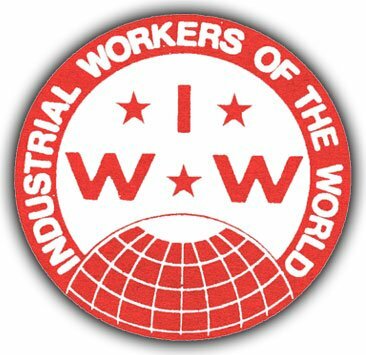 We all have our role to play, individually and collectively. Absconding from that responsibility is simply not an option. Overwhelmed by information about the environment flooding our inboxes on a daily basis, it might be useful to identify some of the most important priorities we need to tackle. These issues are, of course, intimately interconnected and prioritising one over the other isn’t always possible. If you live next to an oil refinery, for instance, you’re probably more concerned about air pollution than a farmer who worries about his future water supply. 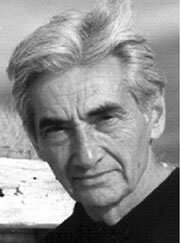 Any solutions we come up with need to be based on what activists are calling “environmental justice”: the fair distribution of environmental benefits and burdens among underdeveloped and rich countries alike, and the right of every person, be they poor peasants from the global South or middleclass Northerners, to a clean and healthy habitat. The threat of catastrophic global warming is a dominant environmental concern and rightly so. We have to dramatically reduce our carbon footprint and fast. What’s required is a very strong emphasis on energy efficiency, reduced consumption and clean, renewable energy sources to meet our transportation and electricity needs. Oil and coal have to be replaced with low-carbon alternatives without us falling into the nuclear power trap which will leave us and our children’s children with long-lived radioactive waste and other major headaches. Someone better tell government and Eskom! They’re intent on building more coal and nuclear power stations while making mere token commitments to renewables. Much of South Africa is already water-stressed and with climate change upon us the situation will only get more severe. With rising demand from water-intensive industries, mining, urbanisation and agriculture, protecting our natural freshwater sources, both underground and on the surface, from pollution and overexploitation is crucial. The fight against water-sapping alien vegetation, toxic fertiliser and pesticide run-off from farmlands, desertification, polluted mine water drainage and industrial effluents is central here. For generations, humans have been dumping their waste into the natural environment with gay abandon. But we can no longer simply assume that the ground, oceans and atmosphere are infinitely large reservoirs with the capacity to absorb our effluent indefinitely. Many of these global “sinks” are starting to reach their limits. Pollution is the ugly flipside of our modern consumer society, premised on the philosophy of constant growth. We need to reduce, reuse and recycle on a monumental scale lest we drown in our own rubbish! South Africa is renowned for its rich plant and animal life, all of which is under growing pressure from urban creep, climate change, alien invasion, deforestation, desertification, industrial monoculture farming and more. A world with constantly shrinking biodiversity is not only aesthetically displeasing, but ecologically unstable. Protecting remaining pockets of indigenous flora and fauna and allowing them to expand and re-connect is a crucial aspect of environmental conservation. Our long and fragile coastline represents a livelihood for many coastal dwellers and a valuable recreational heritage for the rest of us. It’s time we started treating our oceans as valuable common assets, protecting them from overexploitation and pollution. They’re neither an inexhaustible food basket nor a global sewer. As the ultimate source of much of our food and the foundation of all land-based life, we urgently need to protect the soil beneath our feet from erosion, depletion and pollution, while nurturing its fertility. There can be no sustainable civilisation on earth without healthy, productive soil. Are there any other major priorities I have forgotten? Please let me know. Posted by Andreas in anarchism, Book launch, Cape Town, History, Politics, Society, South Africa. 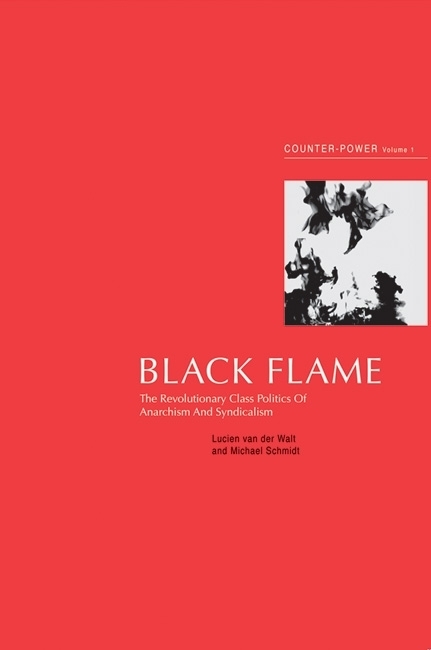 Black Flame: the revolutionary class politics of anarchism and syndicalism by Lucien van der Walt and Michael Schmidt. This groundbreaking volume has been praised by reviewers as “deeply impressive”, “fascinating, revealing and often startling”, “a grand work of synthesis”, “remarkable” “outstanding”, “inspired” and “a welcome antidote to Eurocentric accounts”. Please RSVP to booklounge@gmail.com / 021 462 2425. Posted by Andreas in activism, anarchism, History, Politics, Society. Posted by Andreas in "The Economy", activism, Cape Town, Politics, Quotes, Society, South Africa. These 7% of public schools that have libraries are the former model-C schools who are able to establish libraries and employ librarians through their own funds, collected through fees. Since 1997 the DoE has produced 6 drafts of a national school libraries policy. None have been adopted as official policy. The DoE offers no specialists school librarian posts. All posts are for teachers, and most schools cannot spare a teacher to run the library because of high learner:teacher ratios. The DoE closed its School Libraries Unit in 2002. In November 2008 the DoE published for comment ‘National Minimum Uniform Norms and Standards for School Infrastructure’ which, in tables 15 and 18 states that every large primary school and every large secondary school should have a library of 80m2. The regulations still remain unconfirmed by the Minister and therefore are of no assistance to teachers, learners or education planners.